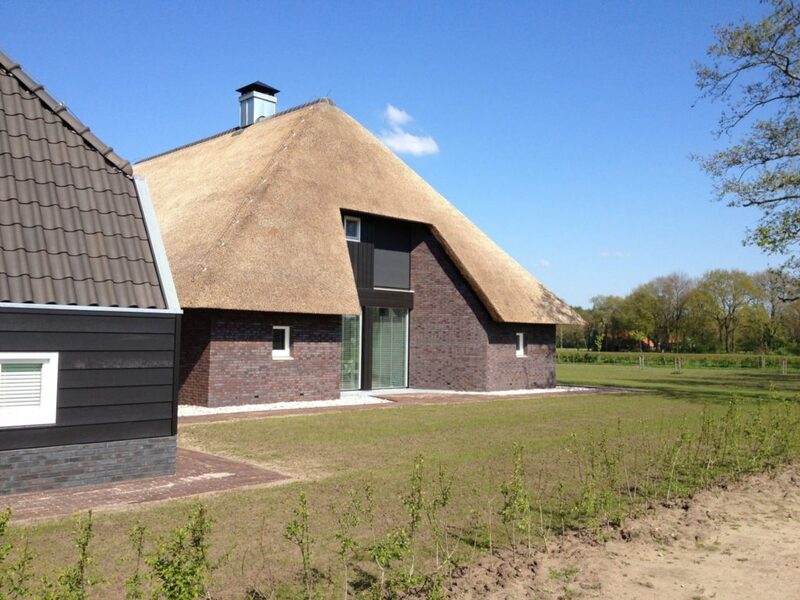 A unique home has been built on the raised field in the village of De Wijk . 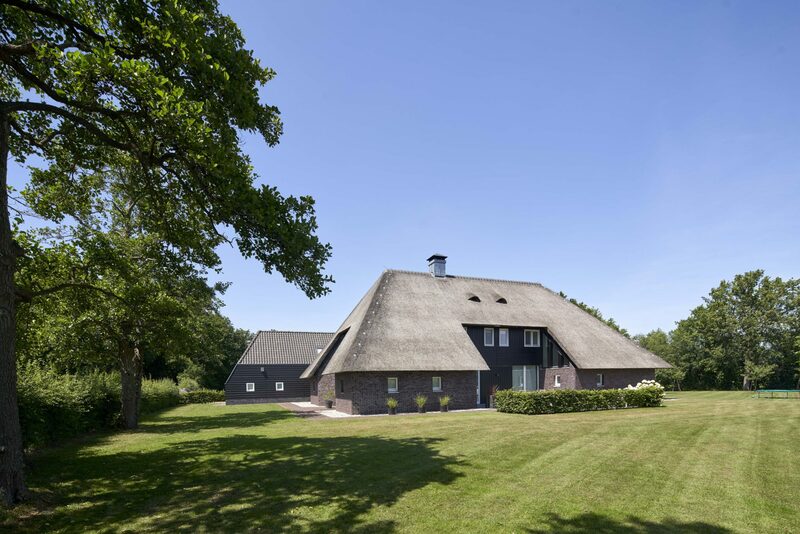 The new house blends into the historic, Drenthe building culture through the use of dark brick and a large, thatched roof. 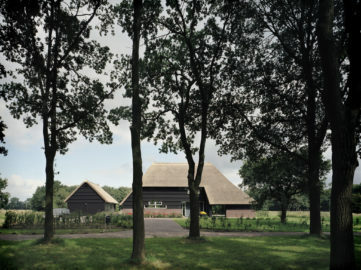 The house itself is muted and contemporary. In the design, deep recesses have been made in the façade, so that the residents experience maximum privacy and intimacy. At the same time, the inlets have been provided with glass, so a lot of light falls into the house. 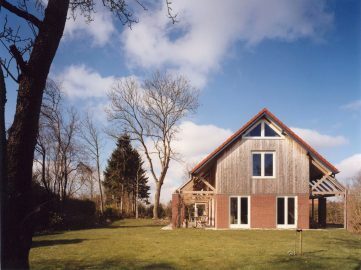 The location of the house is especially unique. 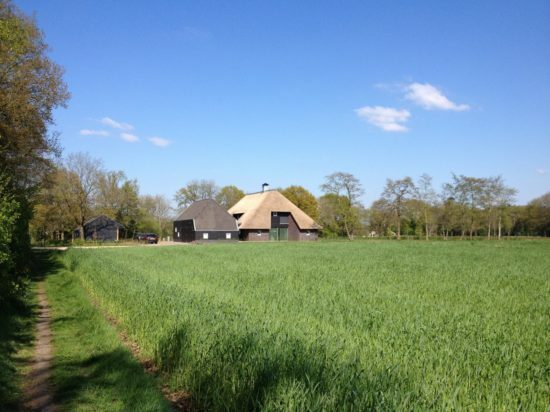 Normally, a raised field in Drenthe is not built on, because the high and expensive farmland is scarce. Furthermore, the house is located right behind the graveyard of De Wijk and IJhorst. 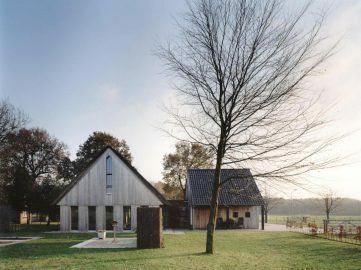 In this place, the raised field is only partially visible due to incorrect planting, but also because the graveyard has been partly built on the field. Landscape architect Greet Bierema has designed an interesting plot plan, which allows the raised field to come into its own again.